Washer and dryer bundles are the perfect solution for all your laundry needs. For people with large families who run up big loads of laundry every week, such a combination of washers and dryers is a great investment. Having a washing machine is just awesome! However, what do you do when it rains or snows? During such weather conditions, the question of drying your laundry becomes a crucial one. Having washer and dryer bundles are perfect for those rainy or snowy days when drying up laundry becomes a task. The need for a good dryer is felt ever more at such times and so availing offers that sell both the products together will give you a hassle-free laundry experience. Even if snow or rain is not a problem in your region, a combo purchase cuts out the tiring process of drying laundry individually on the line or on the foldable drying rack. While choosing from washer and dryer bundles available in the market, it is important to consider a few factors. Look out for features like the tub design, special sensors, active-wash built-in sink and water jet, add-wash door, customized washing cycles, flex-wash, and flex-dry design. A good machine should keep the laundry load balanced and quiet even at high-spin speeds. Ensure to read user reviews to get practical tips and benefit from the experience of past/current users. Check the cycle selection options and the time taken per cycle. Some users complain that the actual time taken for some models to finish the cycle is way more than advertised. Useful tips and suggestions from friends and family will help you decide better. While some hi-end top-load machines also offer excellent features, front-load machines are more popular these days. Top-load machines are good for those who find it cumbersome to bend down or sit every time while loading the washer. However, keep in mind that top-loading machines are not the best option if there isn’t enough space and you are looking for a washer and dryer bundle. In dryers, check for features like moisture or dryness sensors, temperature control, wrinkle-free options, and energy ratings. An electric or gas dryer with steam can help to remove odors and reduce wrinkles. This will add freshness to your clothes. Also, ensure to look for the dryer capacity. This determines how many loads you can dry at once. Usually, the dryer capacity ranges from 3 cu. ft. for compact dryers and as much as 7 cu. ft. drums for heavy loads. These features, put together, will determine how many clothes you can dry at a time as well as give you the flexibility to set options for different fabrics for their long-term care. Electric dryers cost less at the outset, but mounting electricity bills have made some buyers regret not going for gas options that the company provides at additional costs. Checking installation space before making the purchase of washer and dryer bundles is crucial. The laundry area must have enough leg room for easy operation. 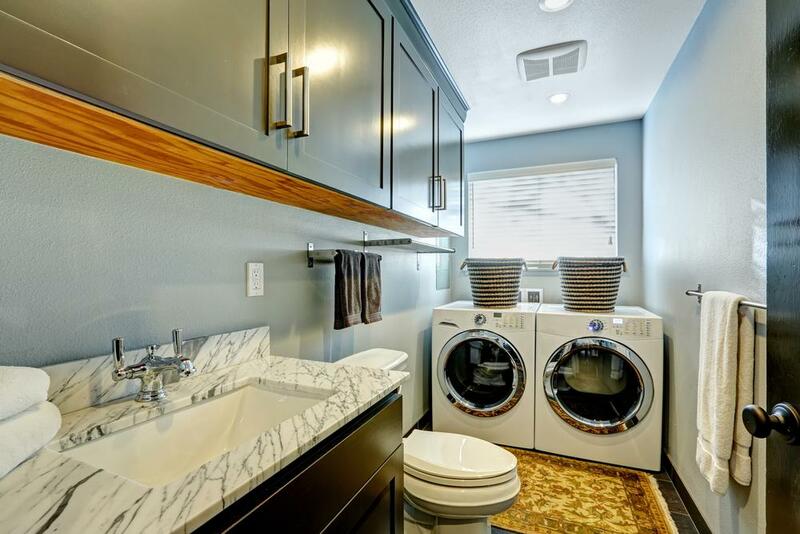 Does your laundry room have enough space to place both the machines side by side? If yes, then most models will fit into your home easily. If not, then go for front-load stacking machines. While the washing machine and dryer features are explained individually, remember that you are making a combo purchase. So, while there may be high-end features for washing, the accompanying dryer may not have some features, such as the moisture sensor option, that you were keen on. Don’t be rigid on the features and consider the practical advantages of buying washer and dryer bundles instead. Companies offer washer and dryer bundles after putting a lot of thought into product detail, consumer needs, and market research. The combination of washing and drying features, when viewed together, might be the right fit for you from a price and convenience standpoint rather than getting washing machines and dryers from different companies.